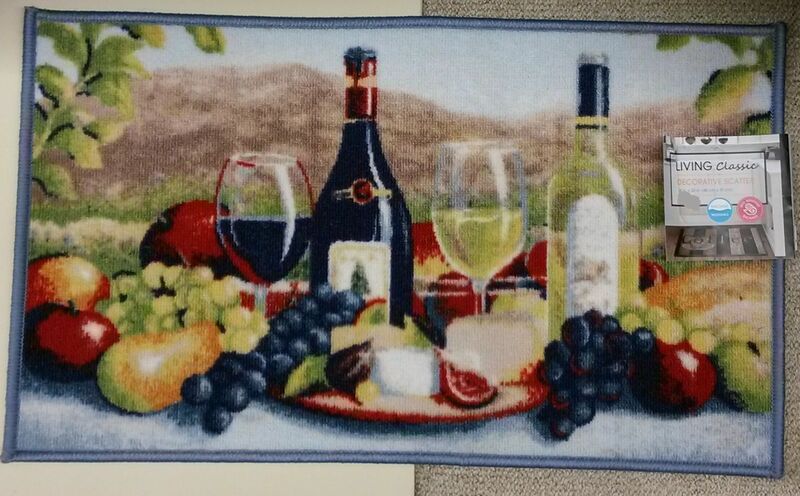 This is a Brand New Wine theme KITCHEN RUG with a non-skid latex back. 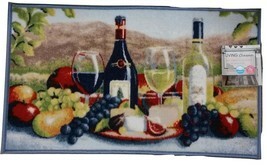 Size: 18" x 30" Material: nylon, with a non-skid latex backing Color: multi-color with Blue trim The design shows wine bottles, wine glasses, fruit and cheese against a vineyard / wine country landscape. Please check out my other listings for other wine-related items.